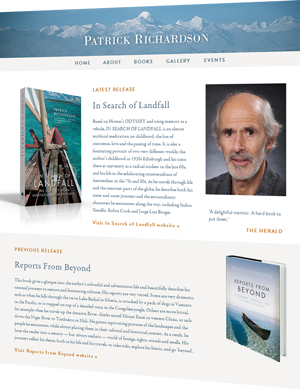 Using memoir as a vehicle, In Search of Landfall is about one man’s search for answers to some of the most important questions we are all faced with: who are we, what are we doing here, and where are we going? It is also a fascinating portrait of two very different worlds: the author’s childhood in 1950s Edinburgh and his time there at university as a radical student in the late 1960s, and his life in the exhilarating counterculture of Amsterdam during the 1970s and 1980s. As he travels through life and the remotest parts of the globe, he describes both his inner and outer journeys and the extraordinary characters he encounters along the way, inlcuding Norman McCaig, Indira Gandhi, Robin Cook, Rudi Dutschke and Jorge Luis Borges. Loosely structured on Homer’s Odyssey, this book is an almost mythical meditation on childhood, the loss of innocence, love and the passing of time.